The Whacko Blogs Presents: Blogaholics Anonymous Blogging Tips of the Day: The Fourth Thirty! Blogging Tip of the Day: Vol. 91 ~ Absolutely everything is blog worthy. Blogging Tip of the Day: Vol. 92 ~ Play to your strengths until they are no longer your strengths. Blogging Tip of the Day: Vol. 93 ~ Be prepared to fail. Blogging Tip of the Day: Vol. 94 ~ Blogging is for the insane. That's why you are good at it. Blogging Tip of the Day: Vol. 95 ~ The ins and outs of reposting and how to do it. Blogging Tip of the Day: Vol. 96 ~ Don't take all criticism too seriously. Blogging Tip of the Day: Vol. 97 ~ Always work on the craftsmanship of your blog. Blogging Tip of the Day: Vol. 98 ~ Stay calm and don't feed the trolls. Blogging Tip of the Day: Vol. 99 ~ Evolve as a human to evolve as a blogger. Blogging Tip of the Day: Vol. 100 ~ Knowing when one blog isn't enough to hold your awesomeness. Blogging Tip of the Day: Vol. 101 ~ Some bloggers do better when they force out a blog. Blogging Tip of the Day: Vol. 102 ~ Remember to use the holiday spirit to your advantage. Blogging Tip of the Day: Vol. 103 ~ Make sure you know the best days for your audience. Blogging Tip of the Day: Vol. 104 ~ Above all else, don't doubt yourself. Blogging Tip of the Day: Vol. 105 ~ Collaboration is the true key to success. Blogging Tip of the Day: Vol. 106 ~ Don't limit yourself to one source of inspiration. (By Tim Clark). Blogging Tip of the Day: Vol. 107 ~ How to deal with wonky social media. Blogging Tip of the Day: Vol. 108 ~ Why your attitude must change constantly. Blogging Tip of the Day: Vol. 109 ~ Don't take shortcuts to popularity. It never ends well. Blogging Tip of the Day: Vol. 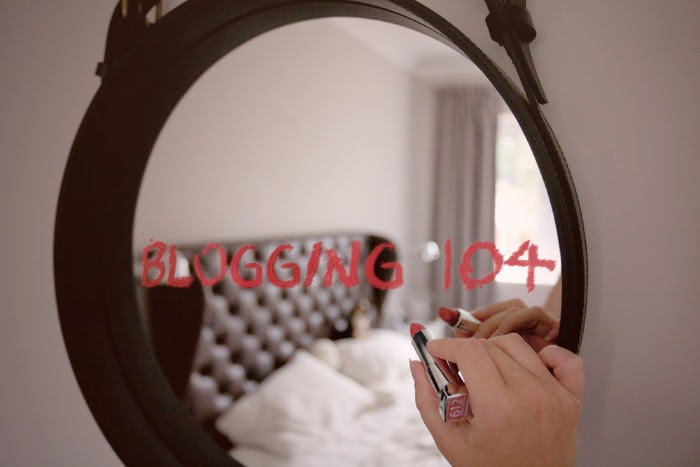 110 ~ Why you have to enjoy blogging to be a blogger. Blogging Tip of the Day: Vol. 111 ~ Working on a media strategy. Blogging Tip of the Day: Vol. 112 ~ Balancing real life with a blogging schedule. Blogging Tip of the Day: Vol. 113 ~ Brevity is the source of wit. Blogging Tip of the Day: Vol. 114 ~ It's up to you to make your content easy to share. Blogging Tip of the Day: Vol. 115 ~ Pay attention to what people do, not just what they say. Blogging Tip of the Day: Vol. 116 ~ Beware of your frenemies. Blogging Tip of the Day: Vol. 117 ~ Learning to let go and grow as a blogger. Blogging Tip of the Day: Vol. 118 ~ You don't always have to know what you are talking about. Blogging Tip of the Day: Vol. 119 ~ Remember to write timeless content. Blogging Tip of the Day: Vol. 120 ~ Remember that most people browse your blog and you are lucky for that.